There's just one reason Philadelphia City Council wants control of Vision Zero activities in the city: As things stand, Vision Zero is obviously undemocratic. City Councilwoman Jannie Blackwell introduced Bill 180134 requiring city council "to approve any modification to an existing bicycle lane that would affect the flow of traffic." Why? It seems that, in spite of efforts to hold meetings and engage with the public, many residents in her district complain that they feel they are in the dark about coming changes to streets, and don't like them. 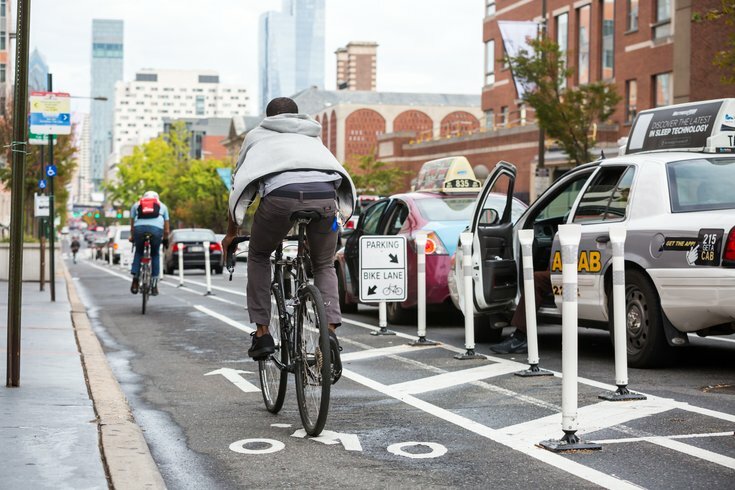 RELATED STORY: City Council bill: Speed bump for protected bike lanes in Philly? "We don't want these changes to happen when people feel they were not involved," she says. She doesn't take sides, and says, "In my district, when it comes to approving of or disapproving of bike lanes, it's 50/50." After the Streets Department eliminated a traffic lane on Chestnut Street to make room for a protected bike lane, her office got flooded with complaints. Her goal is communication and involvement. She goes on to say, "We live in a democracy. We want the majority of the public to have their way. As a city councilwoman, I have to be responsive to the people in my district. And, by passing this ordinance, the public will be much better informed." Vision Zero is based, not on the behavior of reasonable motorists, but on the misbehavior of a small minority of unreasonable motorists. Vision Zero advocacy groups constantly refer to the officials of the city's Department of Streets as "experts," but the fact is that, among traffic engineers, the department's approach is not universally supported. The department surveyed traffic flow on Chestnut and found that, with a 25-mph speed limit, many vehicles were traveling as fast as 30-32 mph, and a small minority at speeds up to the upper 30s and low 40s. They calculated that eliminating a traffic lane would be likely to slow the speed of traffic to near the posted limit. Not everyone agrees that was a smart move. Chestnut was set aside many years ago as a three-lane commuter route and, while just two lanes may serve at some hours, rush hour can prove problematic, according to one Disqus commenter, who identified him or herself as ZeroVisionPhila. He or she said, "Bill 180134 is the right call ... because the once 20 minute Drive on Chestnut St has become the #ChestnutStMess taking up to an hour." A post lane-elimination study of a similar commuter route in Long Beach, California resulted in a farcical outcome – likely a similar situation to what happens on Chestnut at the worst times. During one busy four-hour period, some 1,000 commuters out of 6,800 abandoned the street altogether, and the remaining 5,800 were slowed – all to serve fewer than 300 bike riders. What is missing in Vision Zero's narrow focus on speed and repeatedly spoken desire to "slow traffic" is the very democratic nature of traffic, as revealed in generations of traffic studies. Gathering accurate statistics on crash causes versus actual driving speeds has revealed that, just as we believe the public should be trusted to influence government the right way and, on average, to elect the right officials, we should trust it to drive at a safe speed. About 85 percent of drivers consistently travel at a speed unlikely to result in a crash, even in cities, as reinforced by several studies of car-pedestrian crash causes, including the National Pedestrian Crash Report and a major New York City study. These studies show that the causes of such crashes are complex and multi-faceted, and that speeding is not the biggest problem, belying Vision Zero's narrow focus on speed. The Institute of Traffic Engineers on speed limits: "Our profession has long recognized that most citizens will behave in a reasonable manner as they go about their daily activities. Thus, traffic laws that are based upon behavior of reasonable motorists are found to be successful." Bottom line: Those motorists driving in the low 30s on Chestnut Street were likely just fine, and now are forced to slow to a speed they find annoying. Clearly, a more selective, and democratic, means of preventing excessive speeds and making streets safer needs to be found – a kinder, gentler form of Vision Zero. Thus, if this bill passes, it will be good for the majority of Philadelphians, who still drive.